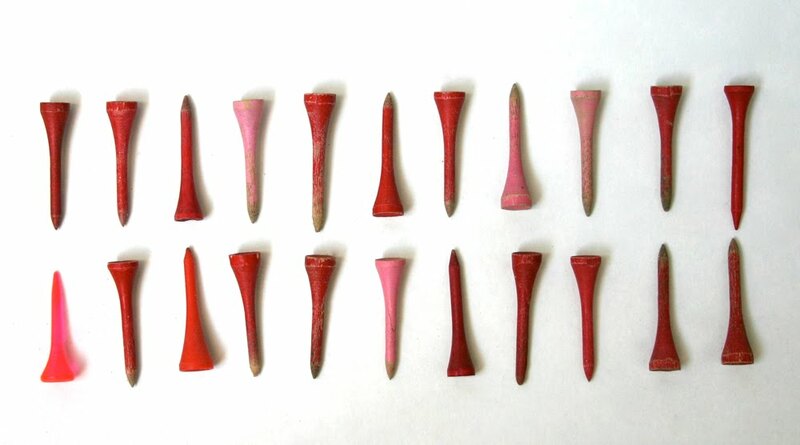 Pink and red vintage golf tees. I just stumbled upon your site from my www.ourmushpush.com friend. I wish I knew about it from Day 1. 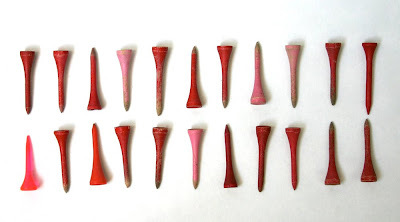 Your collections are charming and take me back to the days when I collected bells and pins. I'll be back, for sure! I love seeing all of the different shades together, same with the blue ones earlier this month! How do you collect such randomness? 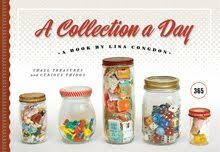 Where do you store it all?! I love this idea. I've been following from day 1.